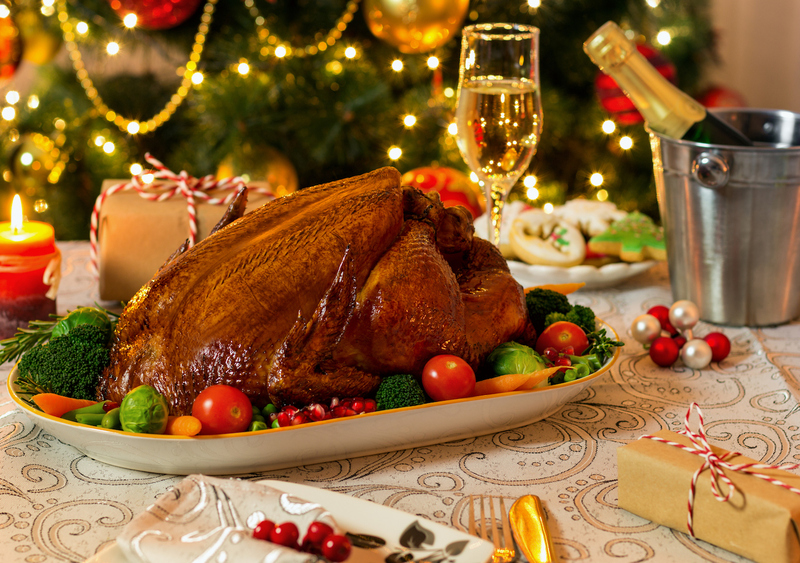 While the traditional Christmas dinner (or supper) differs from region to region, in most former British colonies the main course is Roast Turkey with stuffing and cranberry sauce, served with potatoes, carrots and some type of green vegetable such as Brussels sprouts or broccoli. Traditional Christmas stuffing usually consists of dried breadcrumbs, onions, chestnuts, flaked almonds, sage and other herbs. Some ground meat is often added, especially if the stuffing is served on the side instead of being stuffed, as it is traditionally is, into the cooked turkey’s cavity. 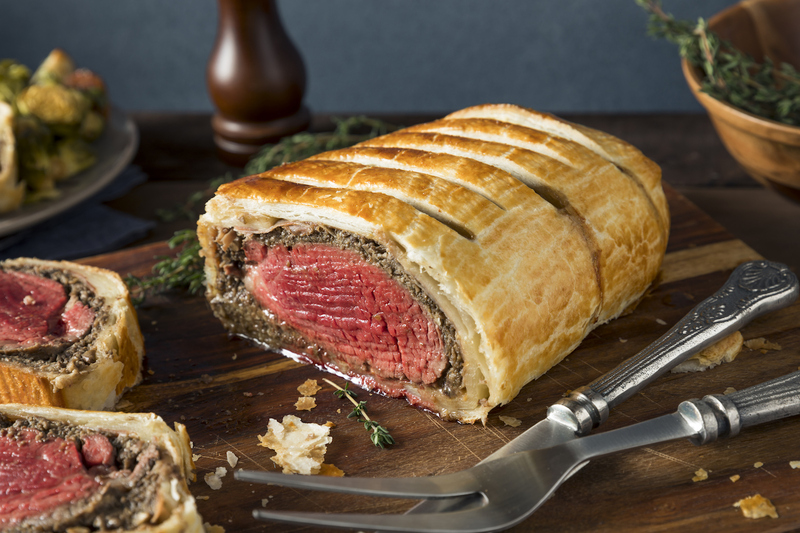 Beef Wellington, the dish that Chef Gordon Ramsay perfected to an art, is whole or sliced tenderloin baked in puff pastry with a layer of liver pate and duxelles (finely-chopped mushrooms with onions and herbs, cooked in butter till paste-like). How the name of the English dish came about is unclear, although there are some who say it was named after the Duke of Wellington who famously defeated Napoleon Bonaparte at Waterloo in 1815. 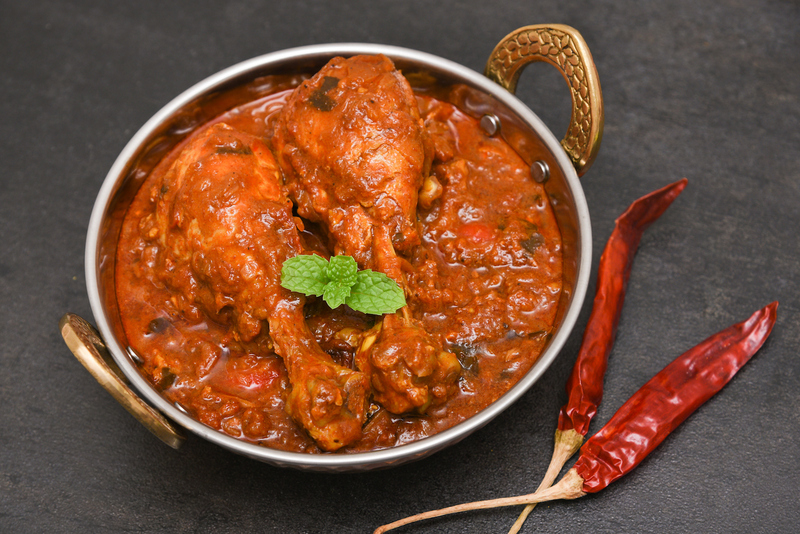 In Malaysia, especially with the Portuguese Eurasian community, expect local favourites such as Curry Debal (Devil’s Curry) to be on the table during Christmas. Meat, potatoes and, in some recipes, tomatoes, are cooked in a simmering base of fresh and/or dried chillies, turmeric, onions and vinegar. The result is a spicy, wake-me-up dish best eaten with rice or bread. 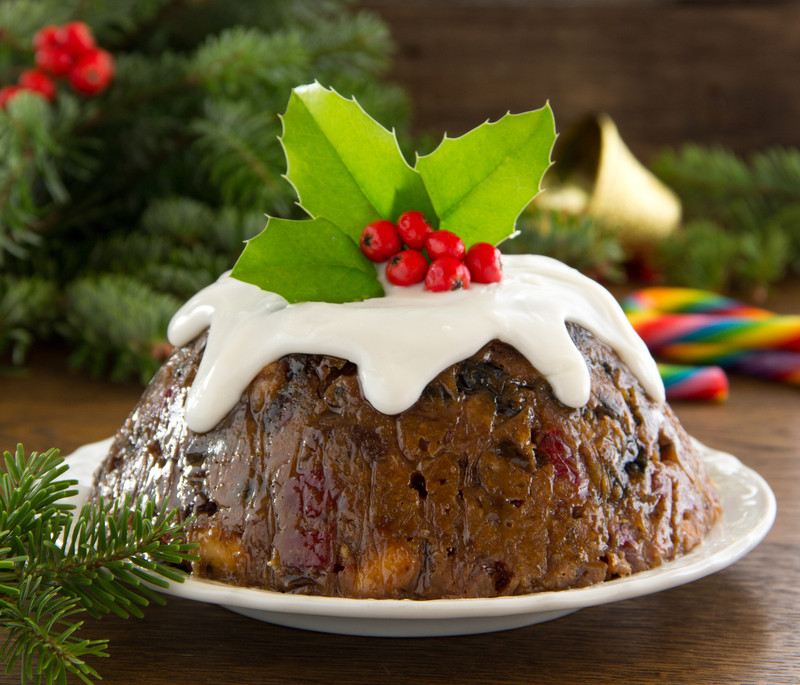 Also known as plum pudding, this British favourite has medieval origins and oddly does not contain any plum at all. The base is egg and beef suet (or more recently vegetable suet), mixed with an assortment of dried fruits and spices such as ginger, cloves and cinnamon. The exact composition and techniques of home-made recipes would differ from family to family, but the pudding is usually boiled or steamed and aged for at least a month. 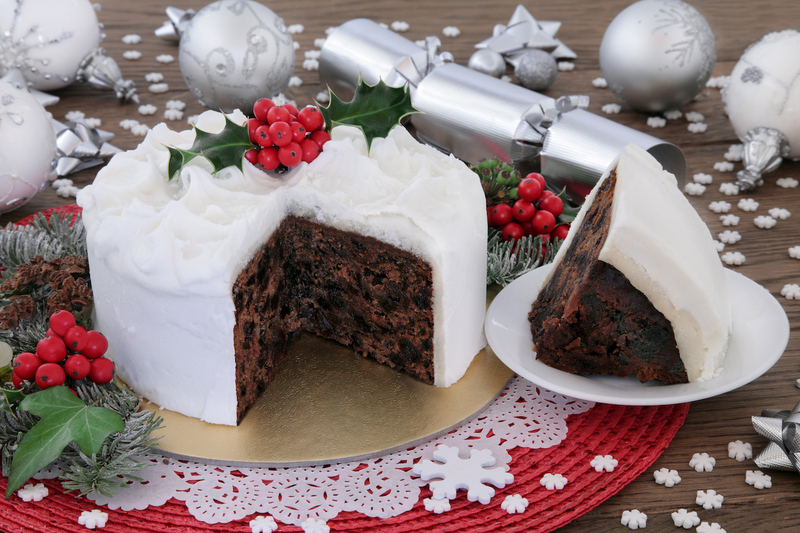 Christmas Pudding is now often substituted by the easier-to-make but equally yummy Christmas Cake, which in most cultures is a dense, low-flour fruitcake, packed with rich flavour thanks to a mix of chopped dried or candied fruits such as cherries, cranberries, oranges and currants. The cakes are often topped with Christmas-themed frosting and decorated with traditional festive motifs such as Christmas canes, mistletoe, gingerbread men and, of course, Santa himself! 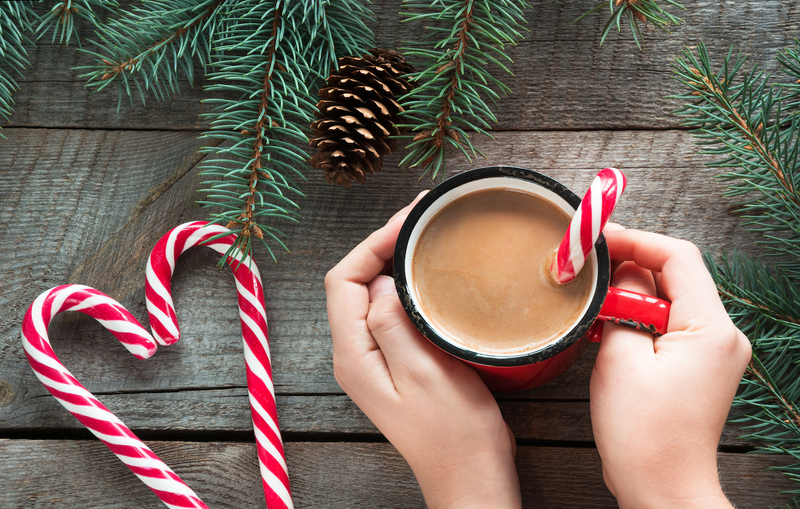 Candy Canes are usually peppermint-flavoured with a white base and red stripes in keeping with the traditional Christmas colours. However, the cane-shaped stick candy can be created in a variety of colours and flavours such as wasabi and cinnamon. Legend has it that the candy cane originated in the late 17th century in Germany, when the choirmaster of the Cologne Cathedral commissioned a local confectioner to make candy sticks in the shape of a shepherd’s crook for his choir members, to remind them of the traditional nativity scene. Everyone knows the tragic story of the Gingerbread Man who escapes from the kitchen only to be chomped up by a hungry fox he befriends in the woods! 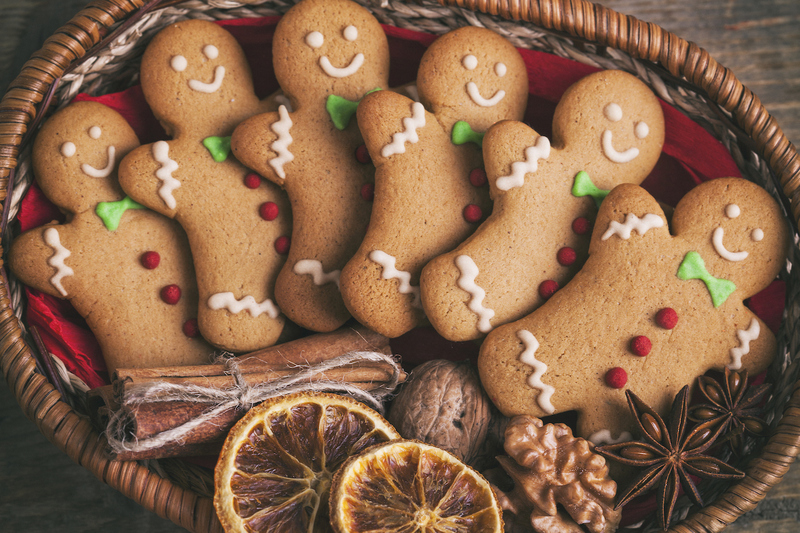 Spiced with ginger and cinnamon, gingerbread cookies can be moulded into various shapes with the stubby-limbed man being the most popular. The adornments – eyes, mouth and buttons on the man-shaped cookie – are usually icing or chocolate.